Wildlife photography: Tickell's Blue Flycatcher - A dream setting!! 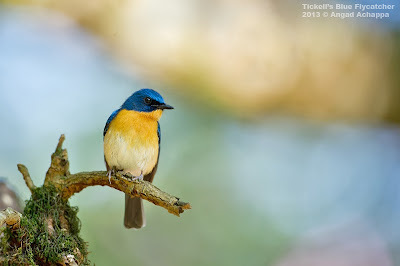 A beautiful setting is what all of us photographers crave for, and here I happened to get just that, an image of a beautiful Tickell's Blue Flycatcher at Nandi Hills, Bangalore. For info on birding in Bangalore, feel free to drop in a mail, or leave a message on my Facebook page mentioned below. Wow! Absolutely beautiful and brilliant shot on the bird. Impressive detail!